This visitor information list will hopefully be helpful to you as you enjoy your time in our great riverside resort town. Colonial Beach has it's own police force and a volunteer fire department and rescue squad. Nearby in the town of Oak Grove there is also a volunteer fire department and rescue squad. Chiropractor - Dr. Shawn Pallotti 540-775-2250 by phone or on the web at www.shawnpallotti.com. Located just down Rt. 3 from the medical facility listed above. Electric Vehicle (CHAdeMO) and Tesla Charging Station at the Boathouse Marina, 829 Robin Grove Lane. 2 Tesla Connectors, up to 16kW. Golf Cart Rental - Custom Cartz or Beach Service Center, 804-761-1594. Taxi - Davis Cab 804-224-0164 (office) or 804-214-8633 (cell).. Lyft and Uber serve the area too. Veterinarian - Warsaw Animal Clinic 804-333-3433. Well worth the hour's drive. A great vet, and they have an after-hours emergency vet on call. Mobile Vet Van parks at Oak Grove Plaza on Mondays and Wednesdays from 9 - 6 and Friday mornings. House calls available. 804-493-0838. Health Club/Gym - River Gym 116 Washington Ave., Colonial Beach. King George Family YMCA 540-775-9622. About a 20 minute drive. Take Route 205, follow until you cross Route 301, take a left onto Route 3 and you'll see the YMCA on your left. Souvenirs - buy online. 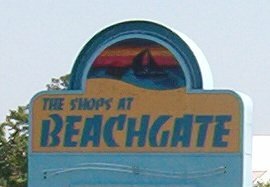 More at Beach Shop on the Boardwalk or Colonial Beach Discount next to McDonald's. Wireless internet access - available at many locations around town. Some charge for wi-fi service, some don't. Coinstar machine is located in the Food Lion at Beachgate Shopping Center. Western Union - Rite Aid or Food Lion, Beachgate Shopping Center. Banks: There are a few bank branches in town. Union Bank & Trust, BB&T, VCB. ATM's can be found at the Food Lion (NSWC Federal Credit Union ATM) and VCB in the Beachgate Shopping Center, Union First Market Bank (by the McDonald's), the 7-11 on Colonial Ave., BB&T (across from 7-11), Riverboat on the Potomac and High Tides Restaurants. Colonial Beach Post Office - 804-214-9636 Across from the high school on Dwight Ave. There's a Trolley stop here. Hours are typically 9am - 5pm, and Saturday mornings. Closed on holidays and often during lunch hours. FedEx, UPS - There are UPS and FedEx drop boxes in front of Mobile Tax Bookkeeping and Printing on Colonial Ave. If there's any additional visitor information you feel should be posted here, please let me know.